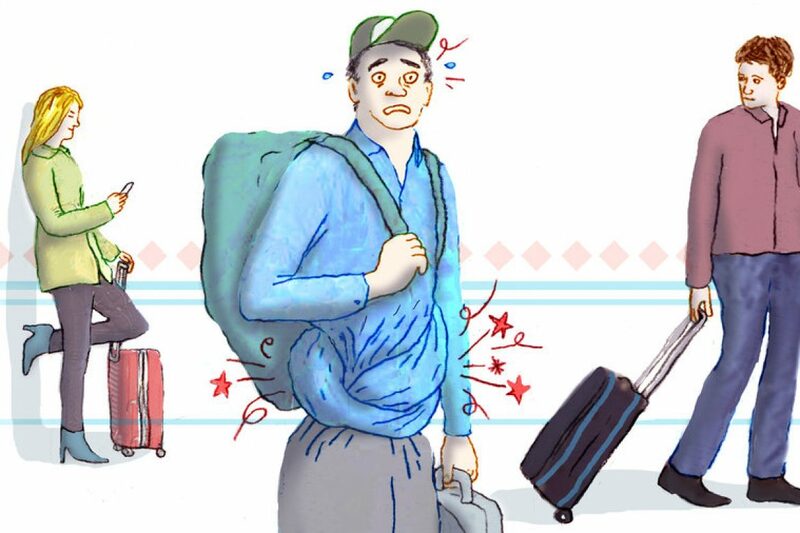 Never pleasant, travelers diarrhea is the most common illness affecting travelers ~ in fact, 40% to 60% of people travelling from developed to developing areas will contact some form of travellers diarrhea, according to the Journal of Travel Medicine. Most of the time travelers’ diarrhea is not severe and will resolve on its own within 4 days. However, severe cases may lead to travel schedule changes, doctor’s visits, and even serious dehydration which can have dangerous consequences if it is not addressed by a healthcare professional. 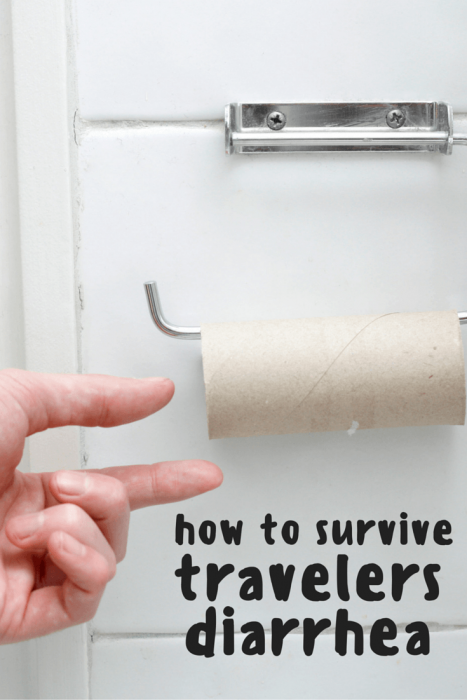 Bacterial, viral, or parasitic infections can cause travelers’ diarrhea. 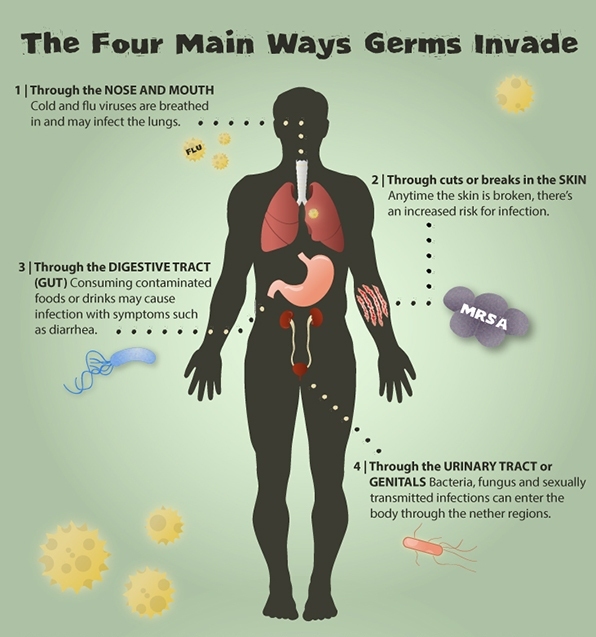 Most commonly, the infection is caused by E. coli bacteria. The microbes that causing this type of infection can be found in contaminated food and water. If you have a weakened immune system, diabetes, an inflammatory bowel disease like crohn’s or ulcerative colitis, cirrhosis, or take antacids for peptic ulcer disease or heartburn, you have increased chances of contracting travelers’ diarrhea. We also suggest you seek medical help if you have any other underlying health conditions that may put you at risk for additional complications~ examples may include heart or blood pressure issues etc. According to the Australian Family Physician Journal, cases of traveler’s diarrhea usually get better within three to five days of fluid replacement. In this case, replacing the fluid that your body loses from diarrhea is extremely important. People usually do not realize how dehydrated they can get from travelers’ diarrhea, especially in children and older adults. 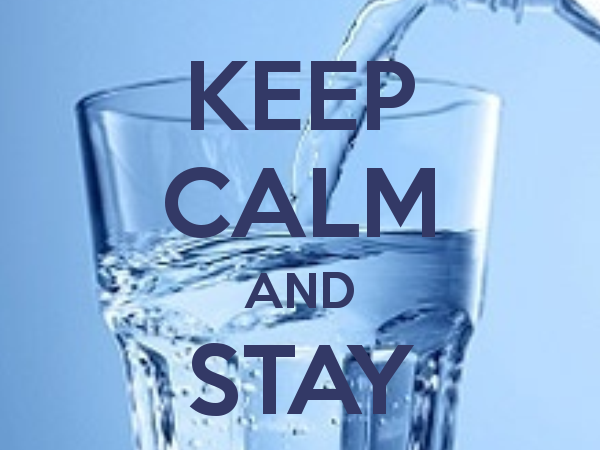 Drink lots of water and other clear liquids with glucose (sugar) and electrolytes like sodium chloride, potassium, and sodium bicarbonate. Sports drinks, broth, and juice are good choices. Stay out of the sun for long periods of time and make sure to take breaks to rest and rehydrate. Over the counter antidiarrheal medication should be used with caution, always follow the directions and warnings on the label, and never take for a prolonged period of time. Persistent diarrhea should always be treated by a doctor. In this case, you may have a stool sample collected to determine what type of infection you have. After the cause is determined, the appropriate antibiotic medications may be prescribed. New research is showing that balancing your intestinal flora is an important part of good health and maintaining a healthy gut . Ask your doctor about probiotic treatment, to help replace the intestinal flora balance in conjunction with or following an antibiotic. Water Purification is another method of preventing travelers’ diarrhea. Methods include boiling (for 3 minutes then allowing the water to cool) and camping/wilderness water filters. In addition, don’t swim in contaminated water or allow contaminated water to go into your mouth. This includes when showering and brushing your teeth! 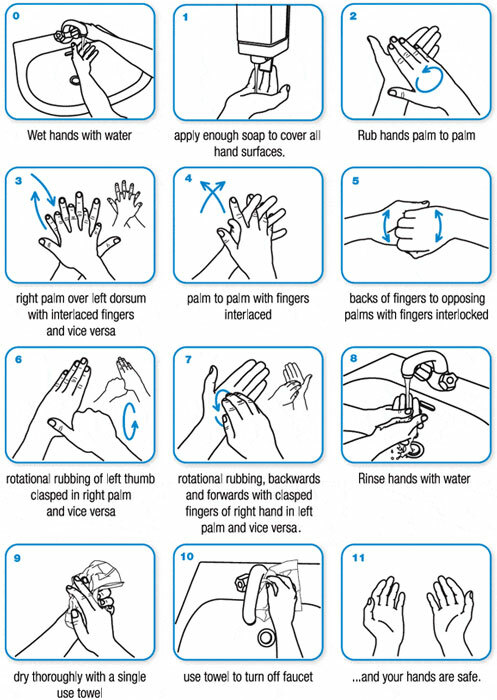 Handwashing is another great method for preventing travelers’ diarrhea. Are you always washing your hands the right way at the right times? Most likely not! Only 5% of people wash their hands correctly according to Michigan State University. Make sure you wash your hands for at least 20 seconds before eating and touching food, wounds, or your face and after making food, using the bathroom, touching animals, blowing your nose, coughing/sneezing, and touching garbage. In doubt, wash! When you cannot wash your hands, you should use alcohol hand sanitizer. Just make sure you use enough to completely cover your hands and allow it to dry. Remember, MedinAction can provide your own personal doctor. Your visit will be private and confidential, in the comfort of your own home. Schedule an appointment with an English Speaking Doctor today. You can chat for free on our website, discuss your symptoms and decide if you require an appointment/ Treatment or just some free advice! Ciao, mi chiamo Evelyn Bigini! I am the new MedinAction intern. 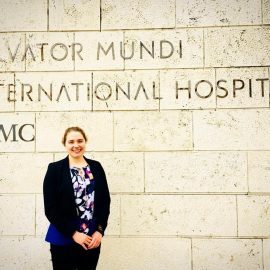 A little about me: I am a nursing student at the University of Pittsburgh completing my internship at MedinAction through CISabroad. I chose nursing because of the individualized care that nurses provide, especially concerning patient education. In my (little) free time, I like to run and exercise, spend time with my family and dogs, and travel. Interestingly, Salvator Mundi International Hospital (which is partnered with MedinAction) is also partnered with the University of Pittsburgh Medical Center (UPMC). UPMC is where I complete my clinicals back at school in Pittsburgh! Che coincidenza!